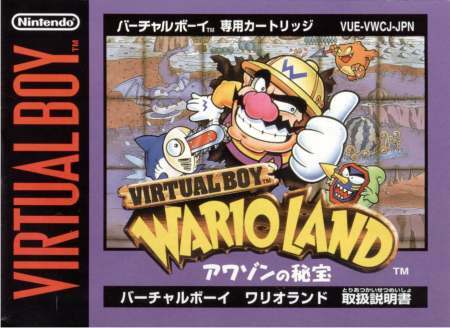 Well, this certainly came out of nowhere: Nintendo (specifically, Nintendo Co, Ltd) has grabbed a trademark for “Awazon no Hihou”, which is the subtitle of the Japanese version of the Virtual Boy Wario Land game. In addition, they also trademarked “DS Kondate Zenshuu”, which is the subtitle of the Japan-only Nintendo DS cooking sim Kenkou Ouen Recipe 1000. The timing is obviously peculiar since E3 is currently going on, but remember that this doesn’t necessarily mean anything. Nintendo registers new trademarks and renews old ones constantly, so don’t take this as a confirmation of a Virtual Boy Virtual Console or something.